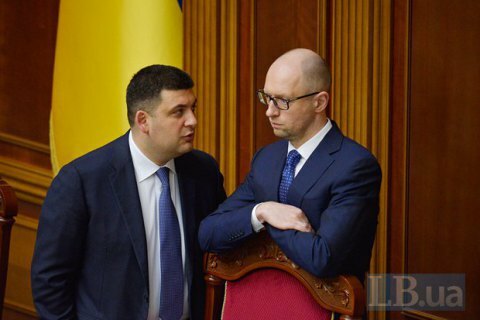 The parliament will consider the resignation of Prime Minister Arseniy Yatsenyuk at 12:00 on Tuesday, followed by a meeting of the new coalition. The appointment of a new head of the Cabinet is expected in the evening at 4 – 5 pm, MP Ihor Artyushenko of the BPP said. On Wednesday, April 13 the program of the new government will be unveiled. Ministerial appointments will be held on Thursday, April 14. Earlier today, the BPP announced having recruited enough deputies to form the a coalition with the People's Front. The BPP faction will now have 145 seats, and the People's Front - 81 seats, which gives the two factions the necessary minimum of 226 votes to knock together a coalition.